We are delighted to present this new report and review by Graham Dowdall exploring the use of iPads in challenging settings. 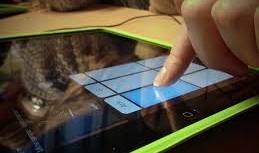 With an extensive background in participatory music-making, especially with children with Special Educational Needs and Disabilities, Graham investigates the potential of the ubiquitous tablet in a musical context. In Part One, Graham shares his research findings, as well as considering the future of iPads within music education. Part Two of Graham’s research features a comprehensive review of apps in the market and explains how the iPad might best be put to use in your music workshops. To read Part One of the report, click here. To read Part Two of the report, click here.